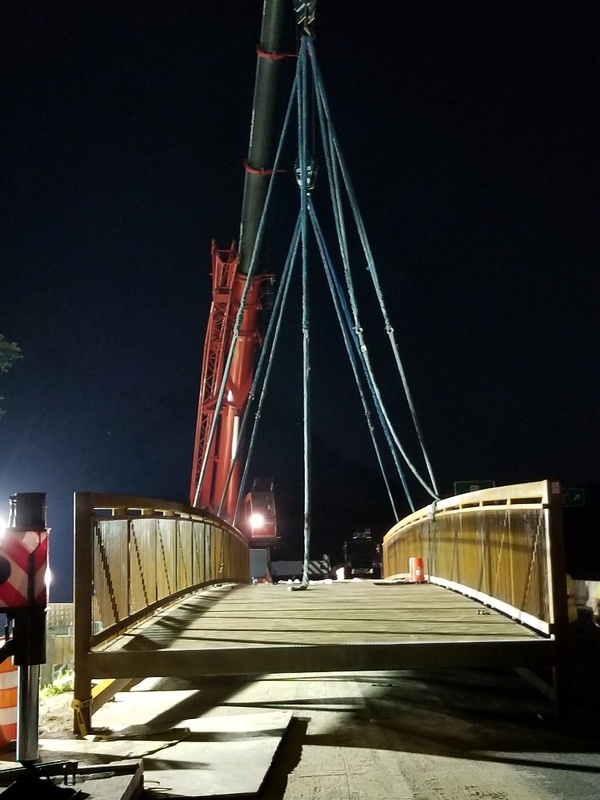 Construction began in January 2018 and was completed in November 2018. 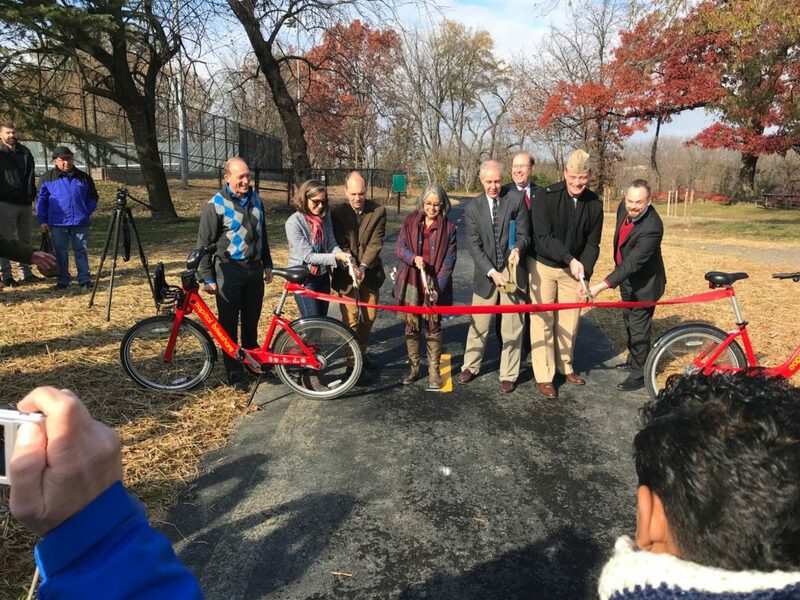 The trail was officially opened on Nov. 30, 2018. 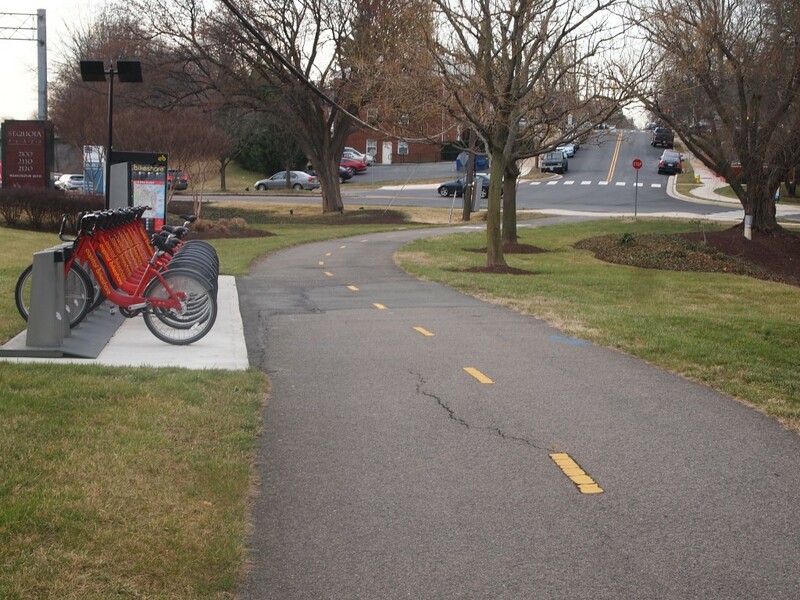 The Washington Boulevard Trail, a bike and pedestrian trail along Washington Boulevard, provides a link from the Arlington Boulevard Trail to Columbia Pike. The trail also links to bike and pedestrian facilities being developed along Columbia Pike and in Pentagon City, as well as provides a new access way into Towers Park. 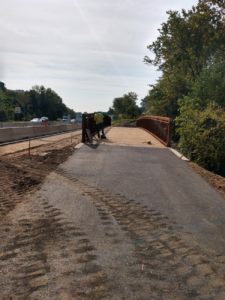 Extending the network through the Penrose neighborhood addresses limited north-south connectivity in this part of the County. Phase 2 of the Washington Boulevard Trail project constructed a 10’ wide, paved bicycle and pedestrian trail along the west side of Washington Boulevard. 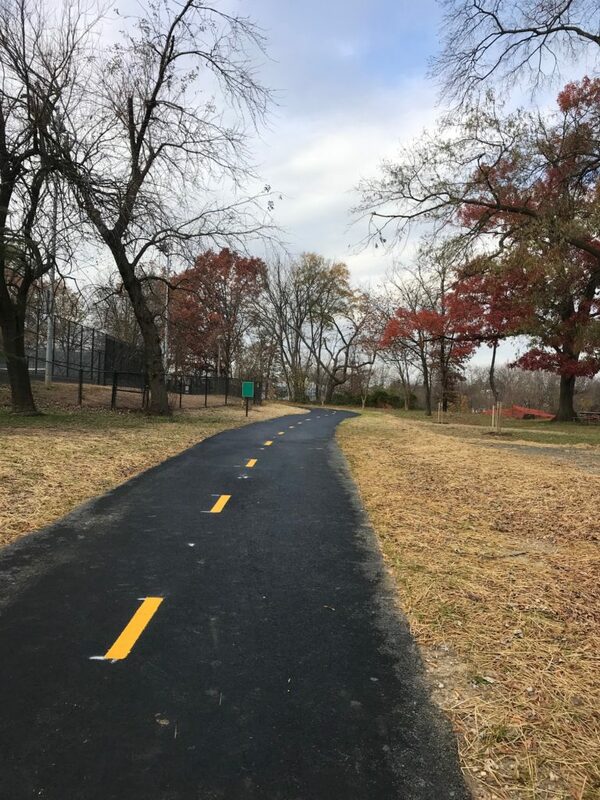 The new trail section links with the Phase 1 trail section, which was built between Arlington Boulevard and Walter Reed Drive. The trail is primarily located within the highway right-of-way but also passes through the property of the US Navy Supply Facility and Arlington County’s Towers Park. Access to the public streets is provided at Walter Reed Drive, 6th Street, 9th Street and South Rolfe Street. 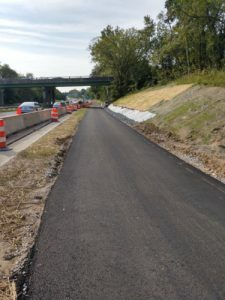 The trail was first developed as part of the County’s 1994 Bicycle Transportation Plan, in which staff undertook a feasibility study and chose to place the trail on the west side of Washington Boulevard. 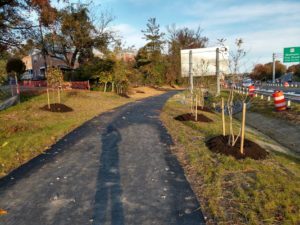 During Phase 1, the trail was constructed between Arlington Boulevard and Walter Reed Drive. 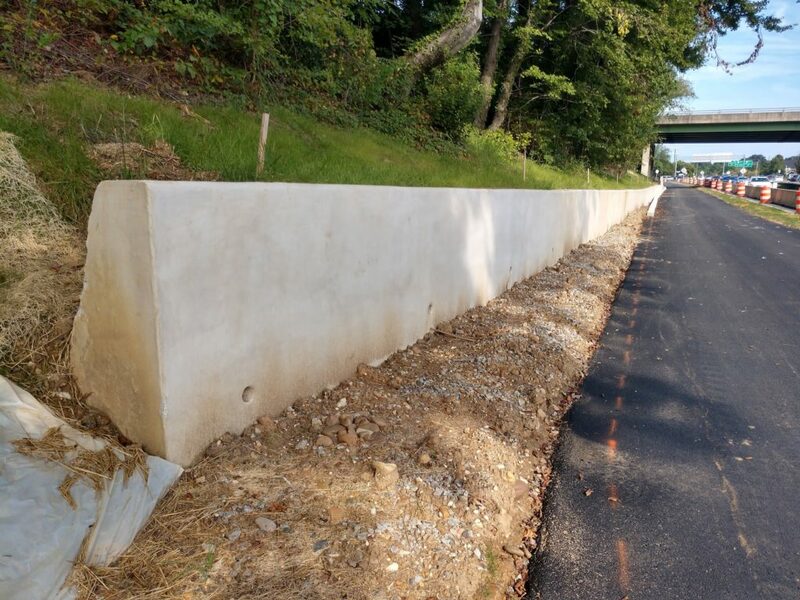 In spring 2012, the County completed an 80 percent design on Phase 2. An environmental assessment evaluated the trail construction’s likely impact on tress as the initial assessment identified approximately 185 trees that may be removed. 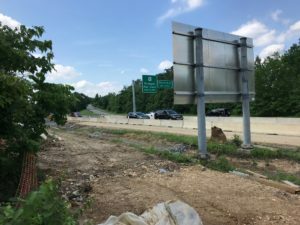 Modifications to the design reduced the likely impact to about 84 trees, and as many as 160 trees will be replanted in the area. In fall 2015, County staff decided to relocate much of the northern section of the new trail onto the shoulder of Washington Boulevard to reduce the need for constructing retaining walls and to minimize impacts to adjacent trees and landscaped area. April and June 2016 - County staff met with relevant County advisory commissions/committees. Fall 2014 - Presentation to Parks and Recreation Commission. July 2012 - Meetings held with the Penrose Civic Association. 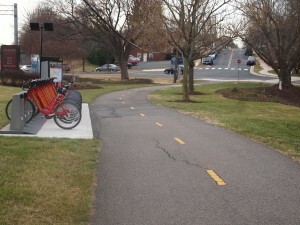 June 2012 - Presentations given to Bicycle and Pedestrian Advisory Committees. 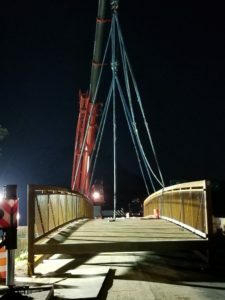 May 2012 - Meetings held with the Parks and Recreation, Urban Forestry and the Environment and Energy Conservation Commissions. 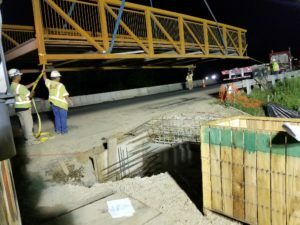 Project design and construction costs of approximately $3 million are jointly funded by Arlington County and the Virginia Department of Transportation.